Last month when I saw the list of holidays and found that 2nd of October off and tuesday, my traveler mind immediately planned 4 days of vacation. Taking one day off on Monday and then I will have 4 good days. Immediately called Vijay (Bglr), Rohit (Pune), Jatin (Raipur) and Rakesh (Bhilai), told them about the plan and when they asked which place, I was quick to reply, GOA!!!!! 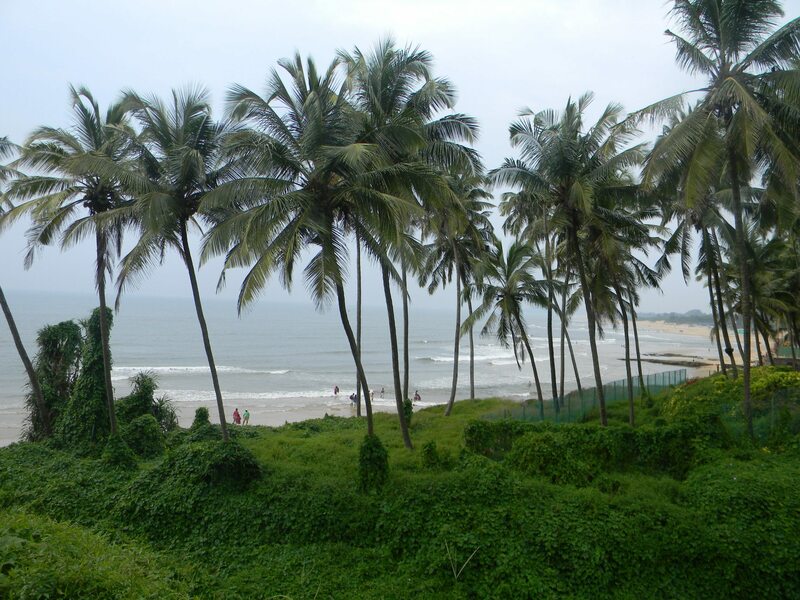 Based on my prior experience I found there is something in the air in Goa that speaks of holidays. Feeling of freedom…watching the setting sun, sipping a sunset cocktail, while waiting for a spicy Goan crab masala or a grilled prawns. There is the freedom of walking barefeet on the sands, of wearing shorts for dinner, of leaving the world and its cares behind. It was also going to be the first time when all five of us holidaying together. 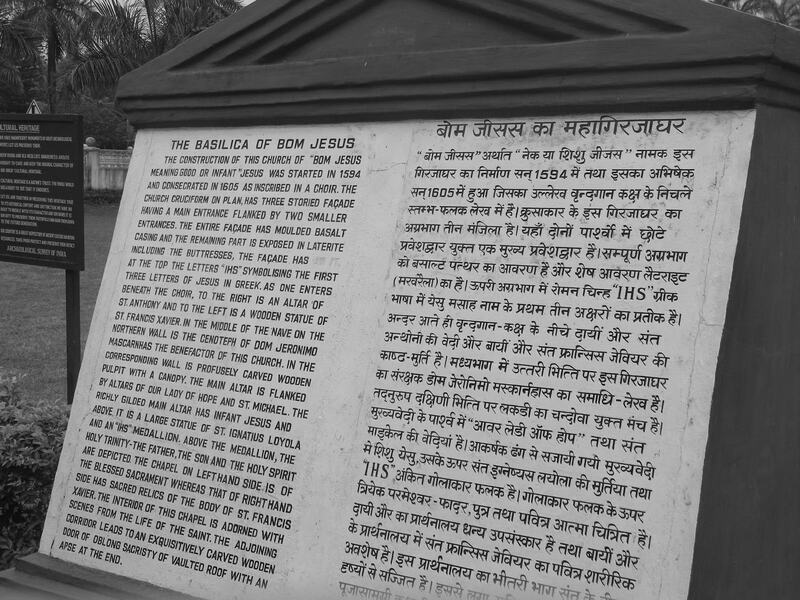 I had so many trips with Rohit and Vijay (Munnar, Pondichery, Goa, Aurangabad, Ajanta, Ellora), had some trips with Jatin (including scary Kanha Kisli), With Rakesh (Delhi, Mathura, Agara). Unfortunately Vijay and Rohit got some urgent work and we were left three. We were sad but decided to stick with the plan and three of us finally made it. I started around 11pm from Bangalore at Friday night. Reached Panjim at 1:30 pm, I was supposed to reach at 11 am but was late because of one accident happened with another bus near Karwar. 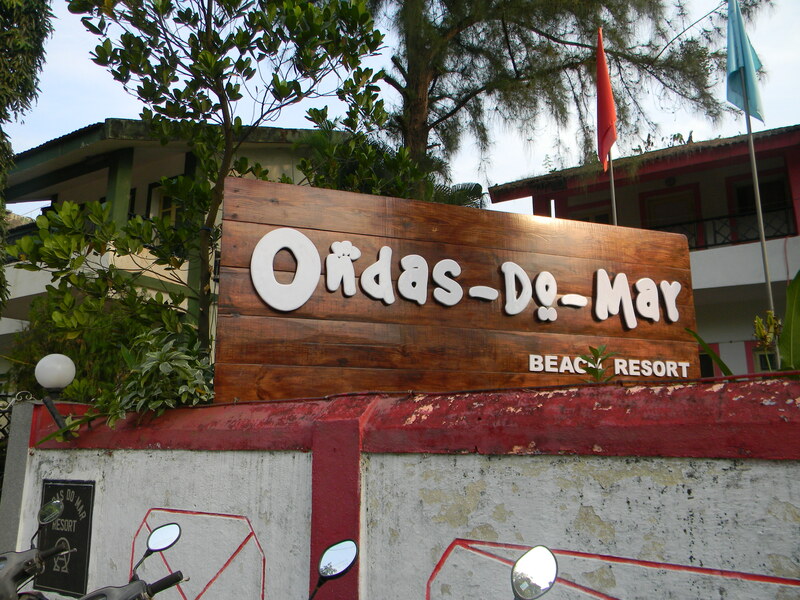 Rakesh and Jatin already reached there from Pune and checked in the resort “Ondas Do Mar Beach Resort” near Calungute. Near Panjim bus stand, I was looking for an auto to reach Calungute, one old man came with bike and asked me if he can drop me there. After some bargain he agreed with 120 Rs. 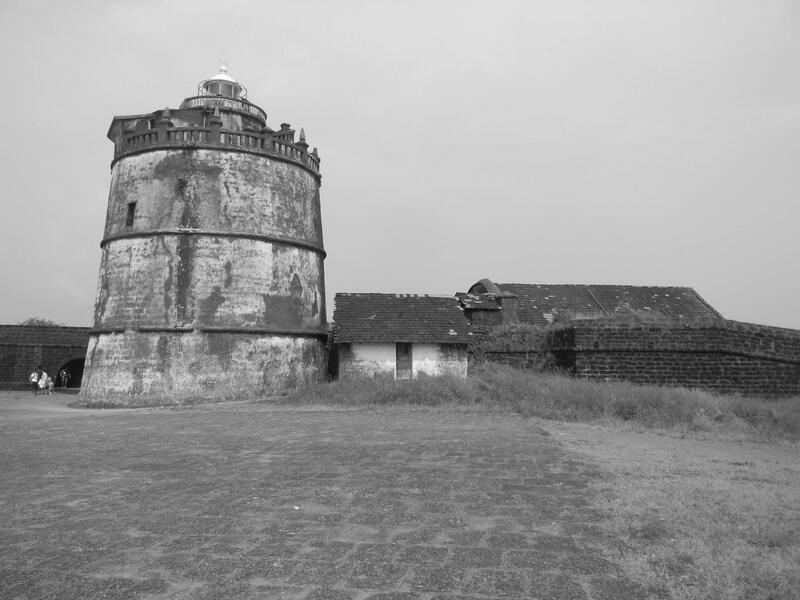 Calungute is 13 KM from Panjim. As soon as I reached in the resort, I asked Jatin & Rakesh to rush to the restaurant and order lunch, meanwhile I will take a bath. After taking lunch, I inquired about bike rent. There were only one activa and deo available. 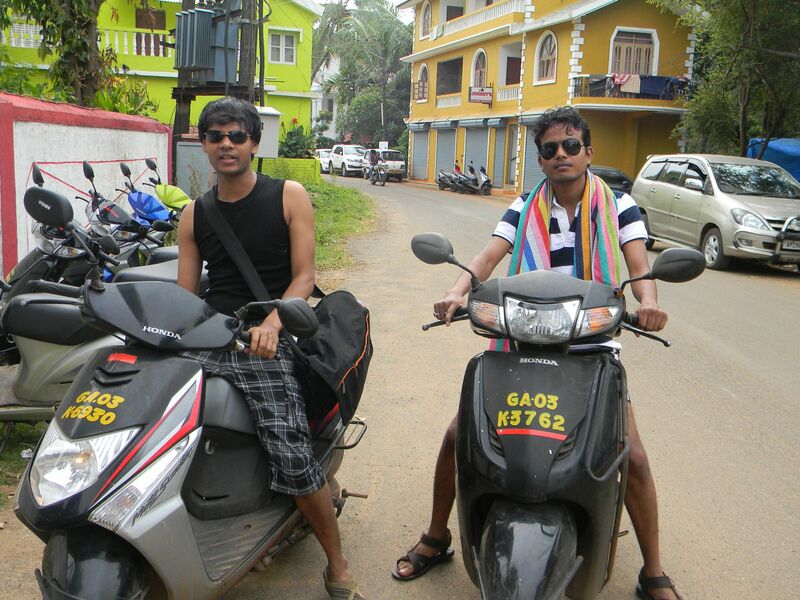 Jatin and I wanted to take Bajaj Avenger but it was not available. After some thought we took both the vehicles. Time to hit the road..
Arpora beach was just 2 mins walk from our hotel, first we went there, then calungute and the Baga. 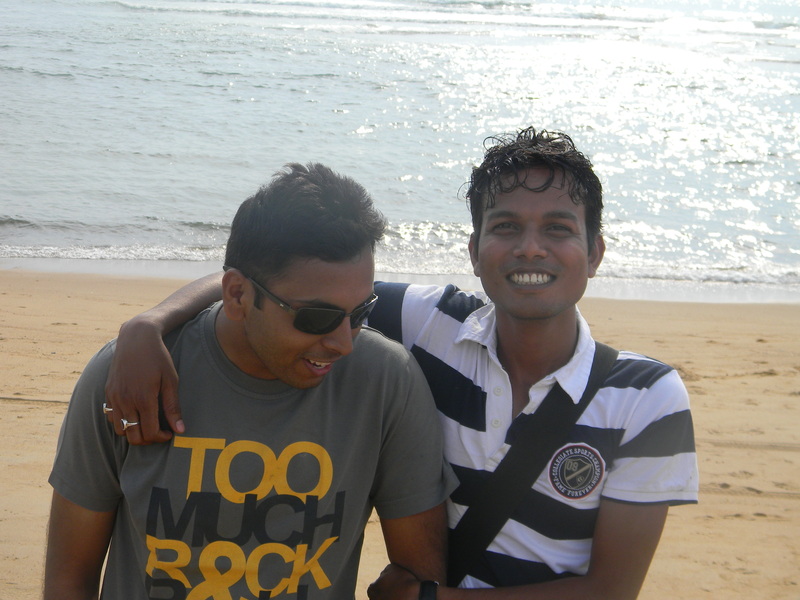 We went further and reached Anjuna beach. 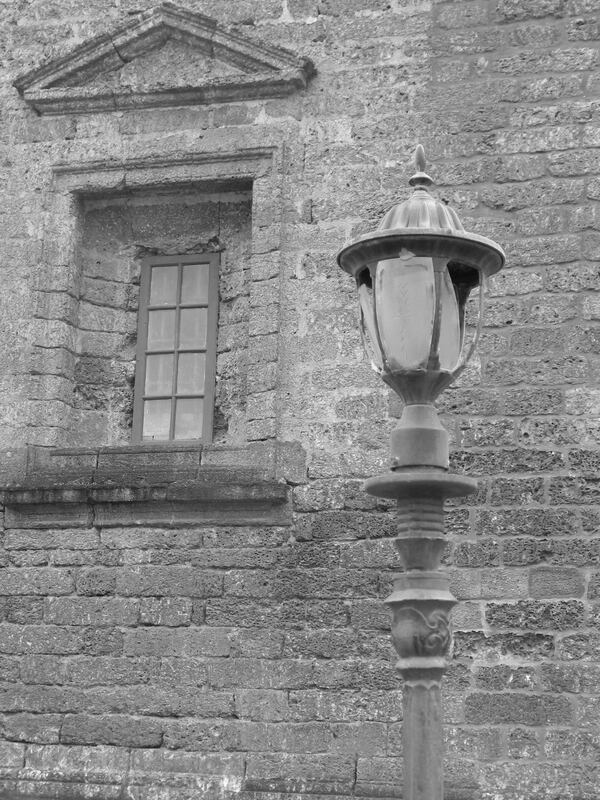 It was too dark there and nothing to see, decided to go back to our resort. Had dinner and good sleep. I wanted to relax and no mood to roam. 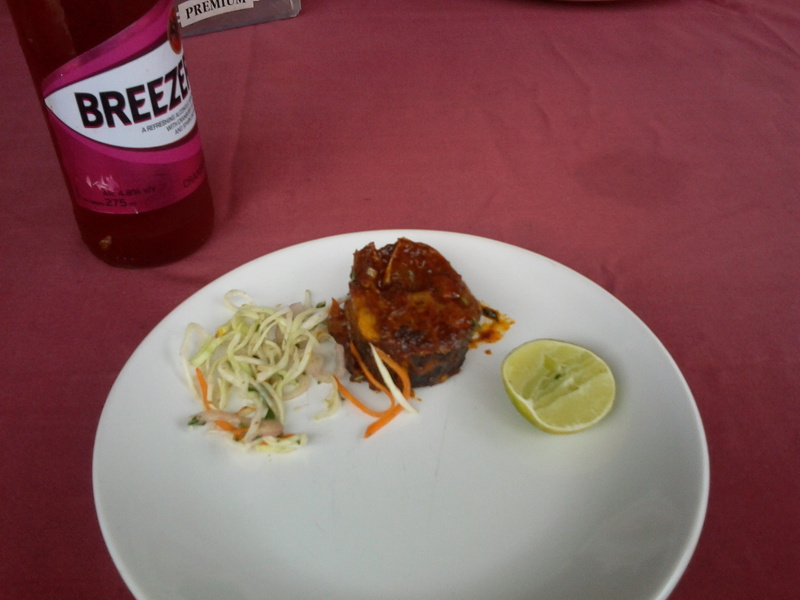 So we spent most of the morning time in the resort, swimming pool and having the king fish with some beer. Then around 1 pm we left and our destination was Agoda fort. 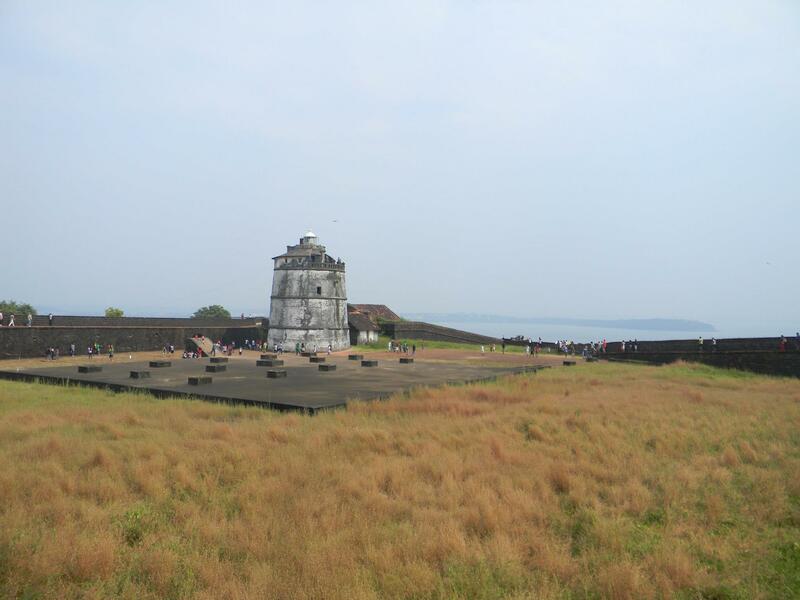 Same like my last visit, It was quite hot by the time we reached Aguada Fort and all of us were started sweating. The Fort and the lighthouse is quite nice. 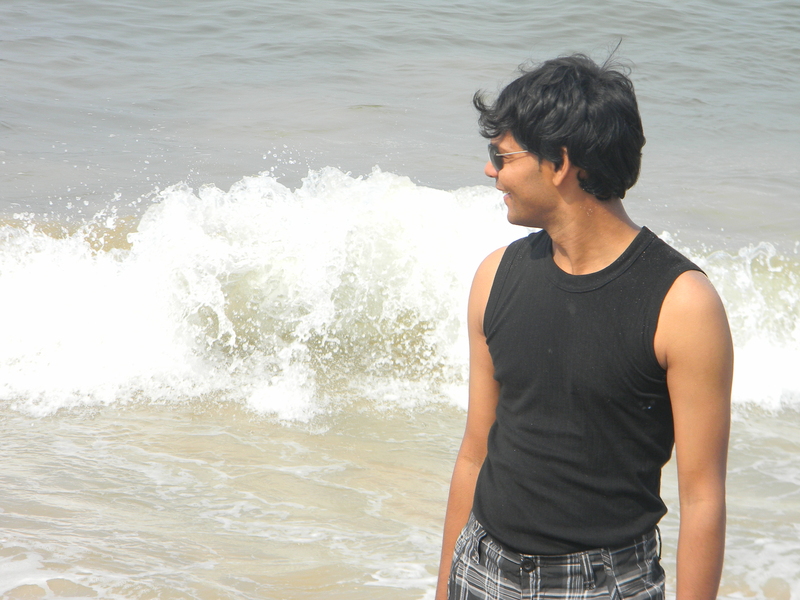 One of my fav movie “Dil Chahta Hai” song was picturised in this location. 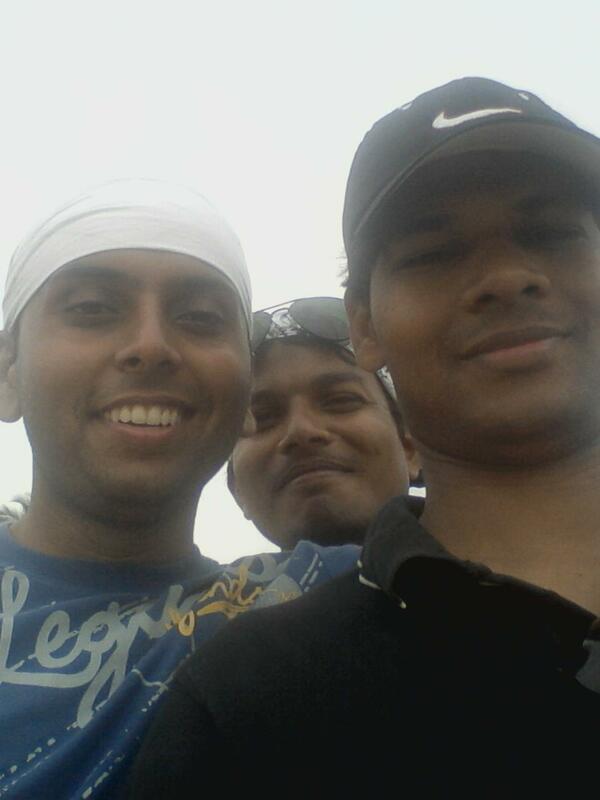 I was not that excited but wanted to show all the must see sightseeing to Rakesh and Jatin. 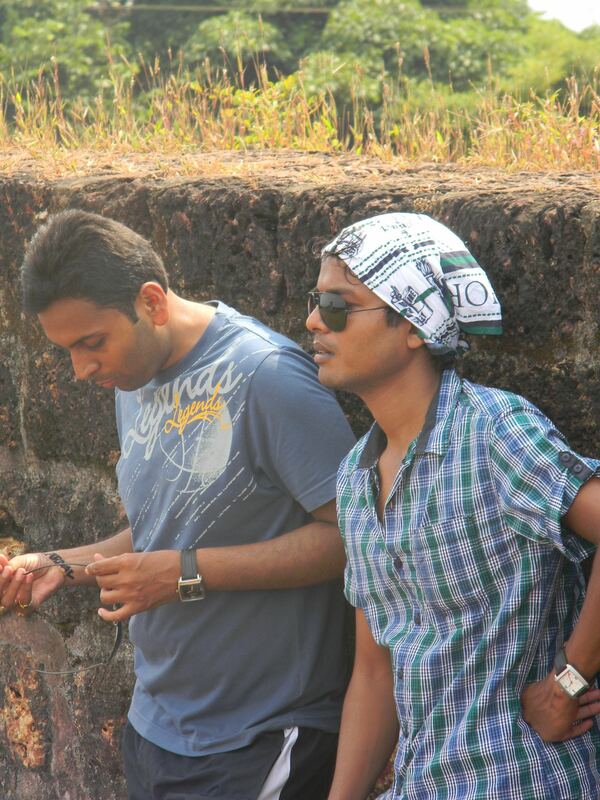 Plan was to visit Old Goa, Last year I didn’t get chance to visit old Goa and the churches. We started at 1 pm, as soon as we reached near Mandavi flyover. Activa got punctured, fortunately the panjim bus stand was near and we got it repaired. From Panjim old Goa is another 9 km. Road is good but the riverside view while driving till old Goa was really amazing. 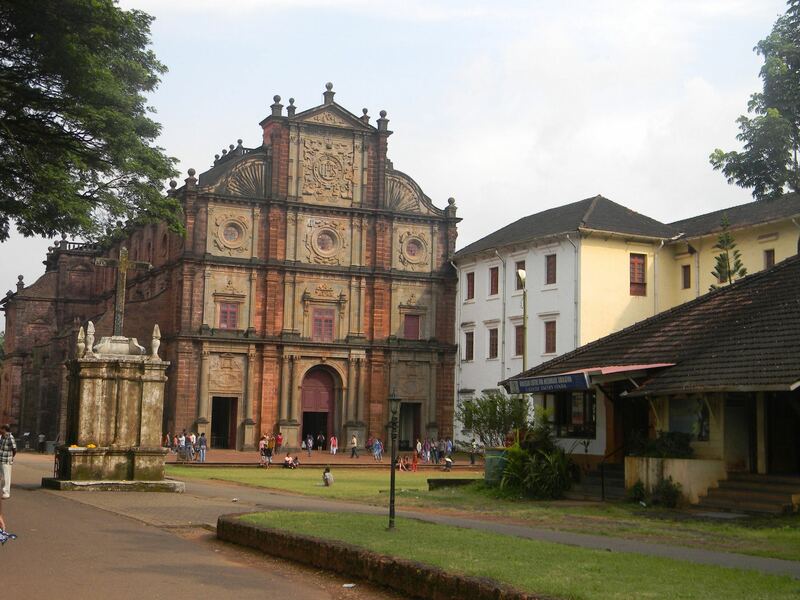 Our destination was Basilica of Bom Jesus. 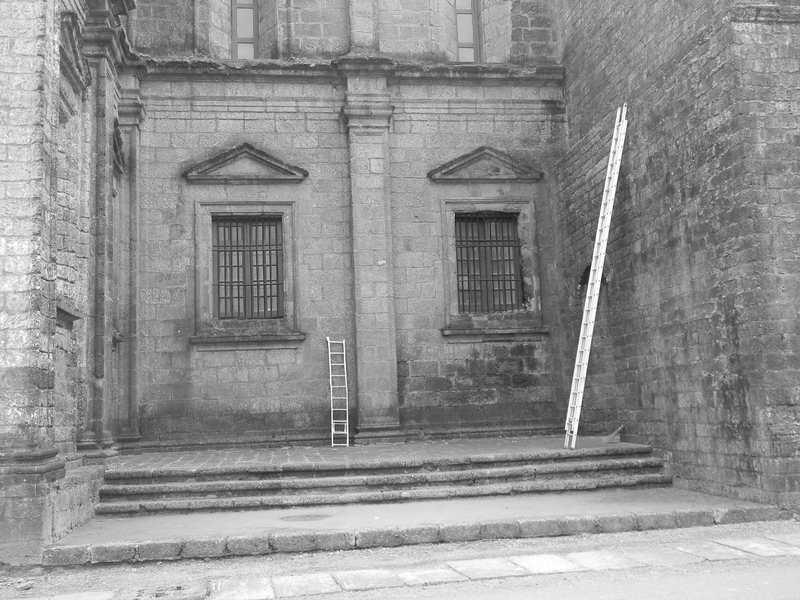 One of the oldest church, is partially in ruins but still a model of simplicity and elegance. We went back to Baga at St Anthony and same stuff, but this time we stayed till 2 AM. 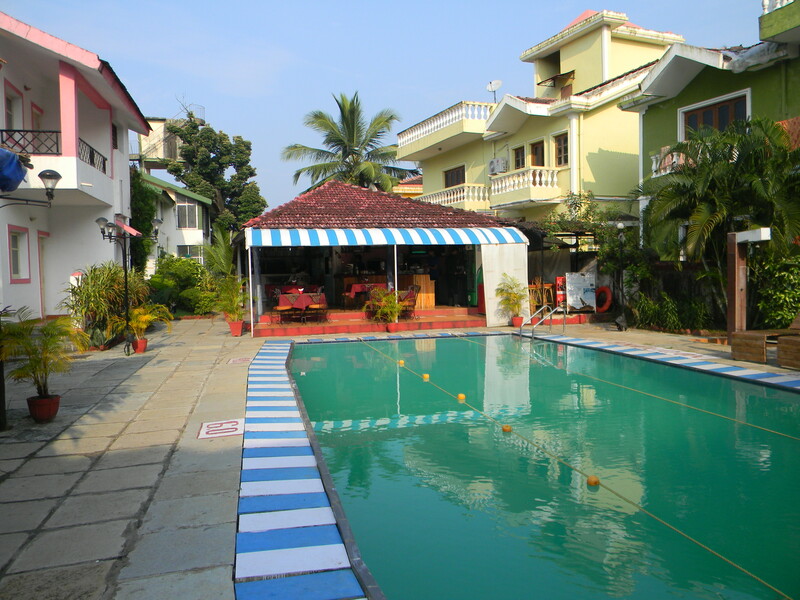 Last day at Goa, After taking breakfast, we checked out around 11 am from the resort. We had bus at 7pm from Panjim bus stand, so booked one taxi as well. Next few hours we spent visiting calungute and arpora beach. Our vacation was getting over and we all were sad. Didn’t enjoy much. At 7 pm I got my bus while Jatin and Rakesh were waiting for their bus back to Pune. I reached Bangalore next morning at 7:30 am. That’s the end of another trip, quite different though, trip was 50% nostalgia and 50% enjoyment.